The Qwillery: The Split Words by Emma Newman - New Covers! 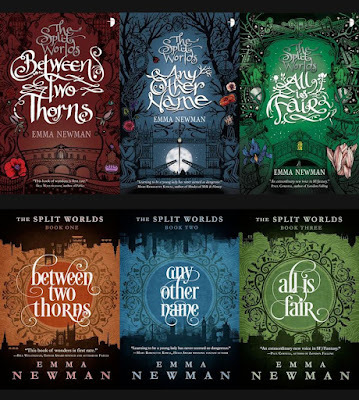 The new covers for Emma Newman's Split Worlds series have been revealed! 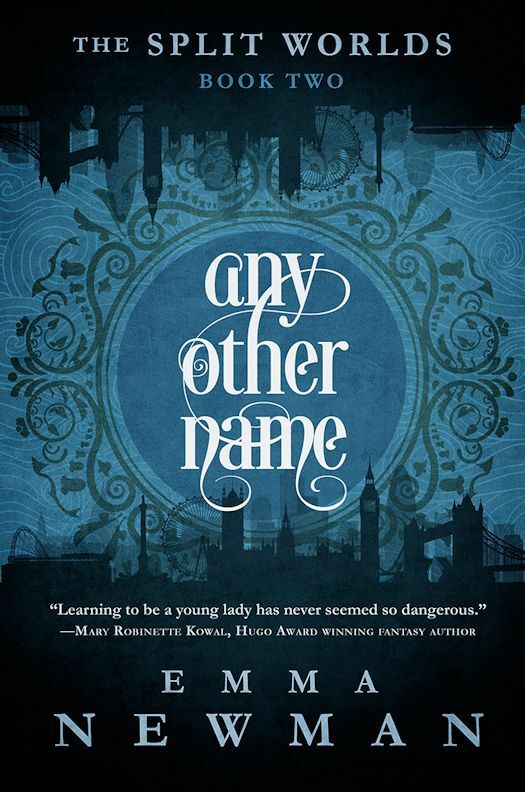 The Qwillery is thrilled to have the new covers from Diversion Books to share with you. 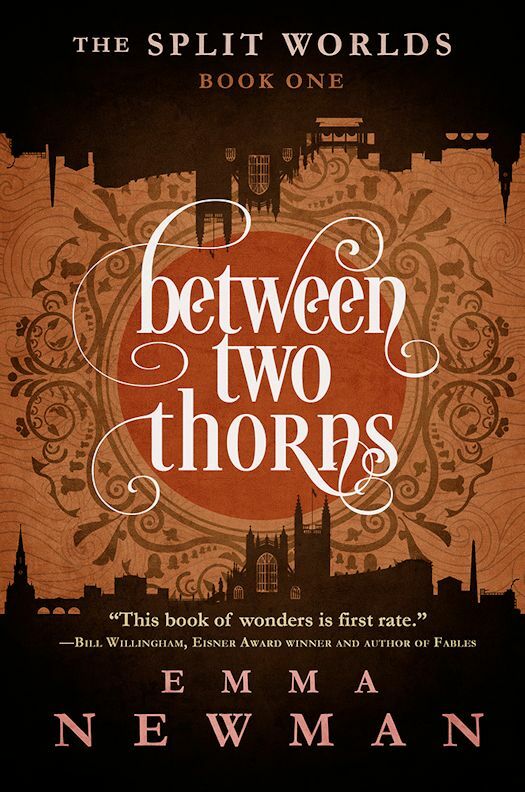 The Split Worlds is a fabulous series that you can learn more about at Emma's Split Worlds site. 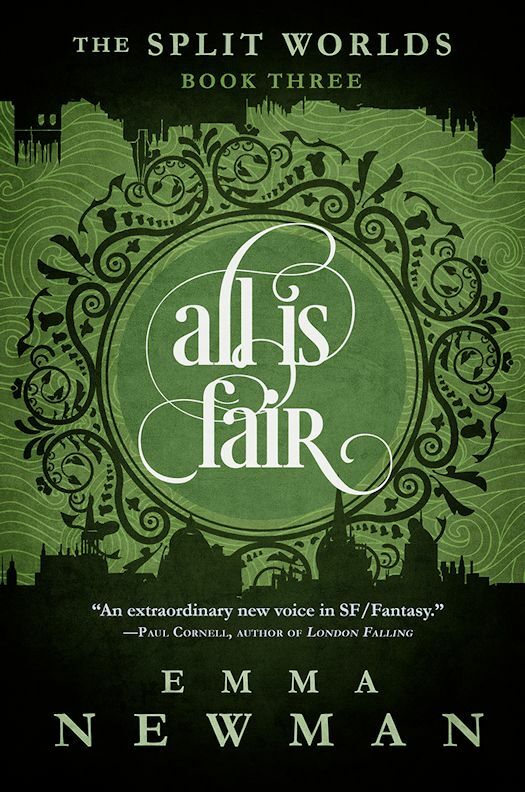 In addition to republishing the original 3 novels (Between Two Thorns, Any Other Name, and All is Fair), Diversion Books will publish 2 additional Split Worlds novels. 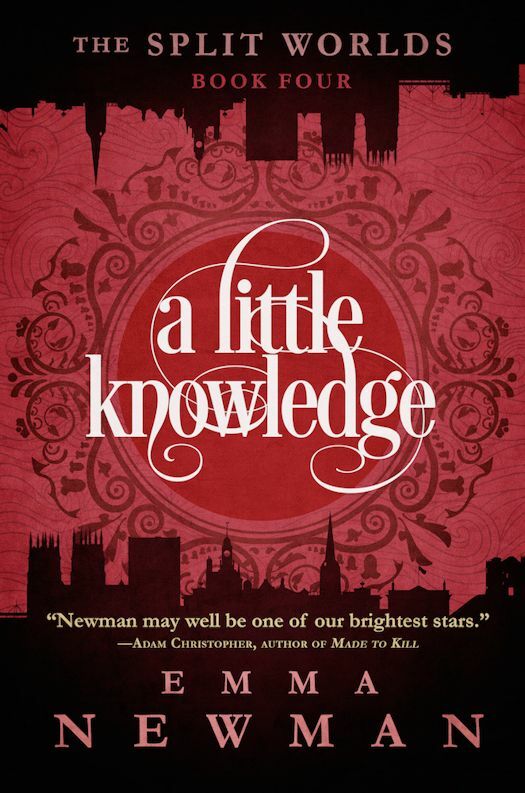 Read more about that here at Emma's blog where she revealed the titles for the 4th and 5th Split Worlds novels - A Little Knowledge (2016) and All Good Things (2017). The first three novels will be out soon! 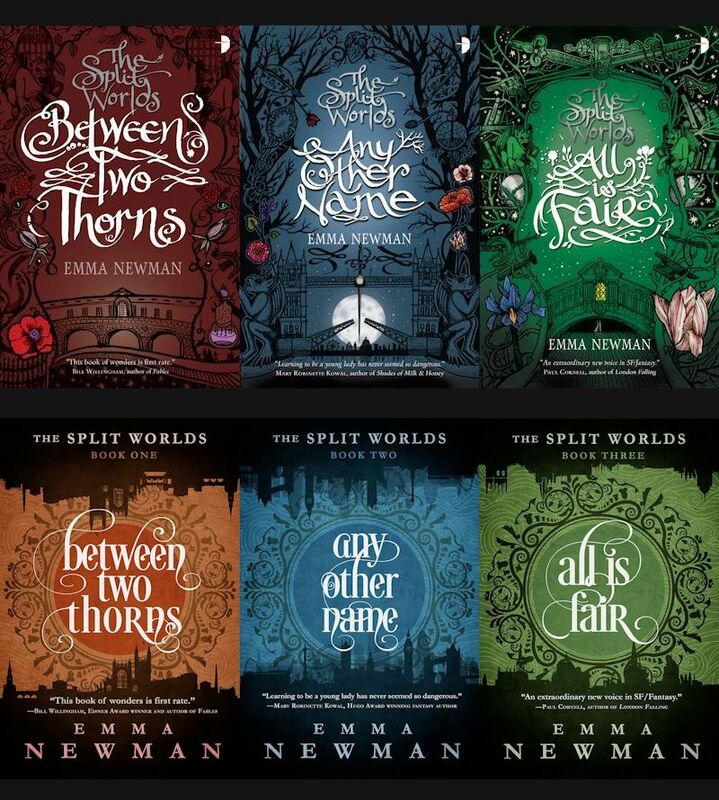 I think that the new covers for the series are as wonderful as the original covers. I particularly love that the color theme has been preserved. What do you think?